Original Owners selling their lovingly maintained home! Sought after Cool Spring, Chickahominy, and Atlee. Extra special features include; Hardwood floors throughout living room, dining room, family room, up the stairs, & down the halls, UPDATED kitchen, NEW granite, NEW backsplash, Kitchen Island, Custom Upgrades (tray ceiling, crown molding, chair rail molding), Large/FLAT corner lot, nestled into the back end of the neighborhood, FINISHED 3rd Floor (32′ x 12’…with closet & walk-in Attic). This traditional floor plan offers a Formal Living Room, Formal Dining Room, and OPEN CONCEPT Kitchen (Updated, pantry, island) and Family Room (Gas Fireplace, Hardwood Floors). 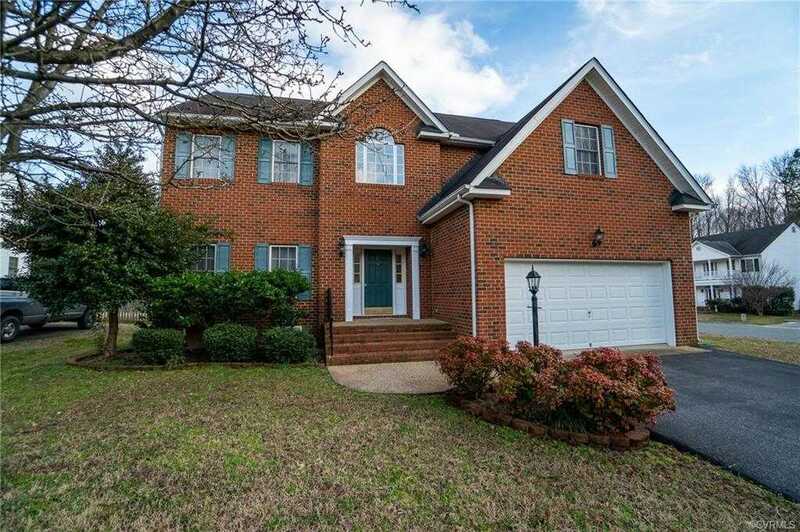 Up the hardwood steps is 4 bedrooms; huge master (double vanity, corner jetted tub, shower, HUGE 11’x8′ walk-in closet), the kids/guests rooms are of great size and all feature large closet and ceiling fan/light. Separate entrance up to the 3rd Floor (32’x12′). Tons of house, great neighborhood, excellent schools, and conveniently located with quick access to 95 or 295 or Route 1. Plus a nice flat backyard for entertaining! Come check out this home cherished by it’s original owners/builders. Please, send me more information on this property: MLS# 1906321 – $364,950 – 9527 Alexgarden Court, Mechanicsville, VA 23116. I would like to schedule a showing appointment for this property: MLS# 1906321 – $364,950 – 9527 Alexgarden Court, Mechanicsville, VA 23116.